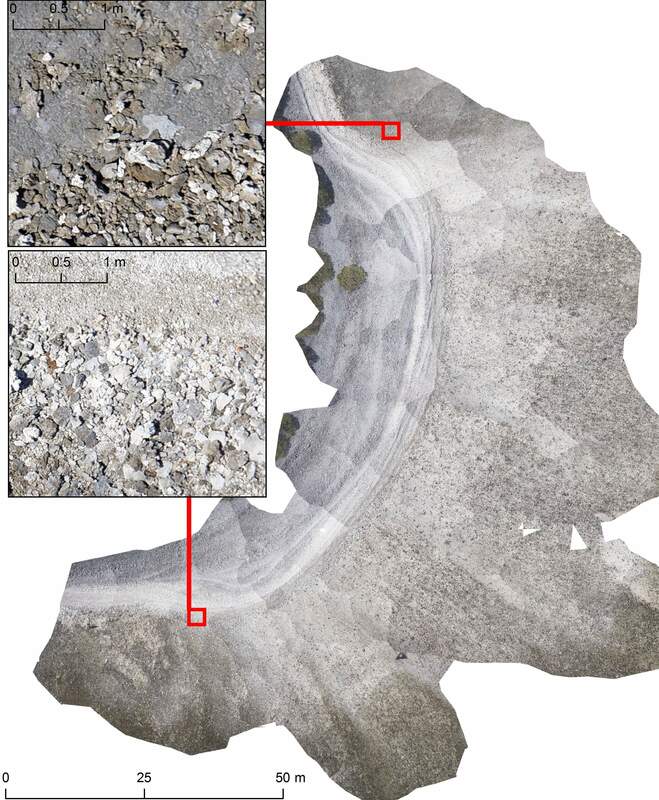 That is just what researchers from the Geocoastal Research Group (GRG) have been doing, with the help of collaborators from the Australian Centre for Field Robotics (ACFR). 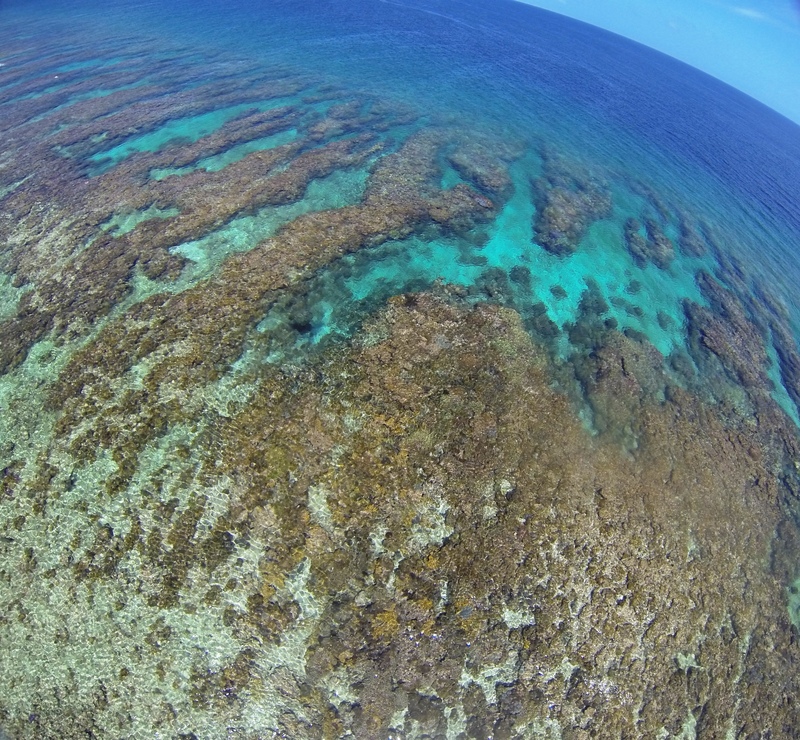 Using a standard kite, a digital camera and (of course) some trusty duct tape, GRG workers have been capturing high resolution aerial imagery of coral reefs and reef islands. The method is simple, cheap and fun! The photos give a novel perspective of features at a previously un-seen resolution, in between that of traditional satellite imagery and,in-field, ground-based photos. This technique can reveal features and patterns which are not noticeable at close range to researchers on the ground and are not picked up by lower resolution, traditional remote sensing. With the help of the computer guru Mitch Bryson from the ACFR, “structure from motion” techniques can also be used to turn the images into a high resolution 3D elevation model. With repeat surveys, these models can provide valuable insight into how island features change over time driven by every day and storm conditions. Some beautiful coral spur and grooves, where the reef flat meets the open ocean, captured by the kite. A mosaic created from kite images showing an island spit. The insets show the level of detail across the mosaicked image.